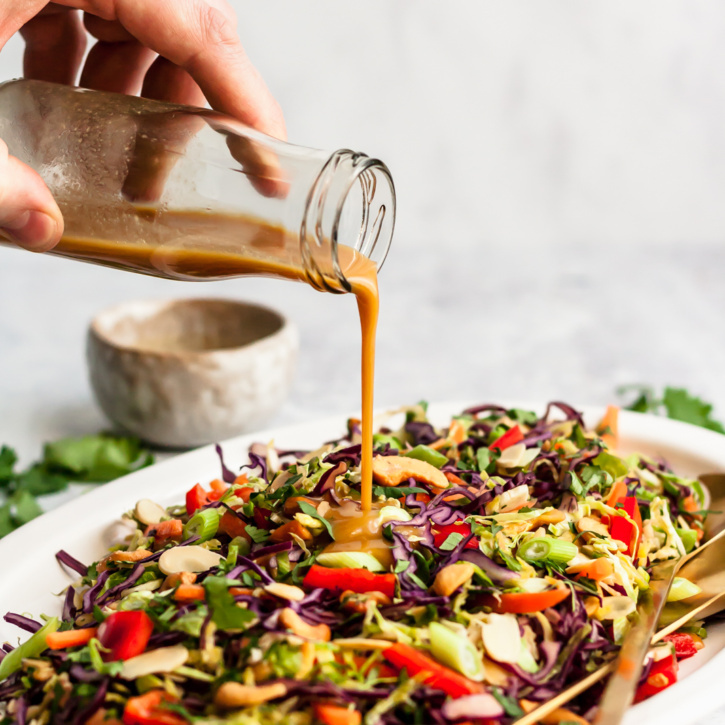 Flavorful, easy sesame ginger dressing recipe made with simple ingredients. 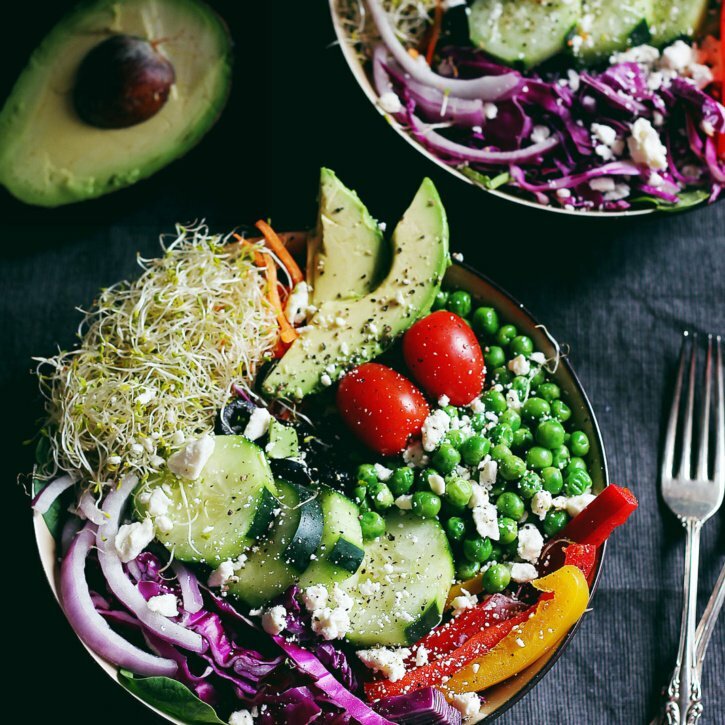 This healthy homemade dressing is sweet & savory, vegan and perfect for adding to veggie packed salads or using as a marinade. 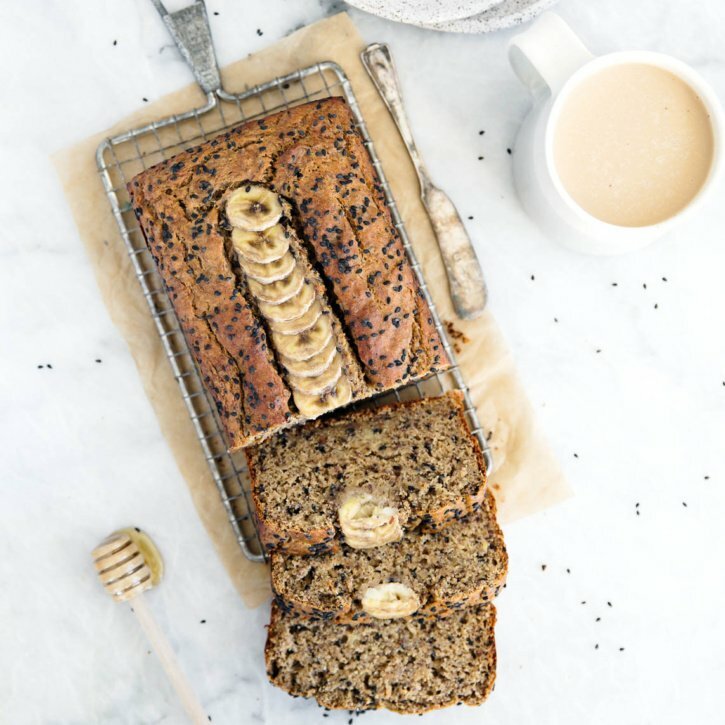 Healthy Tahini Banana Bread made with whole wheat flour, flaxseed, sesame seeds and naturally sweetened with honey. This oil-free healthy banana bread is wonderful toasted with a drizzle of honey. Delicious, healthy coconut milk recipes that are perfect for using up a can of coconut milk! 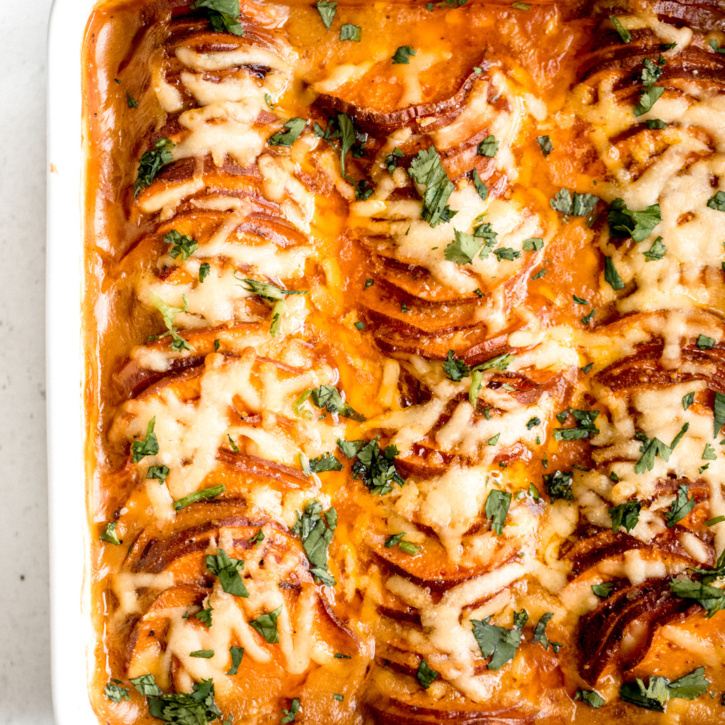 You’ll find flavorful dinner recipes and plenty of incredible desserts that are naturally dairy free thanks to coconut milk. 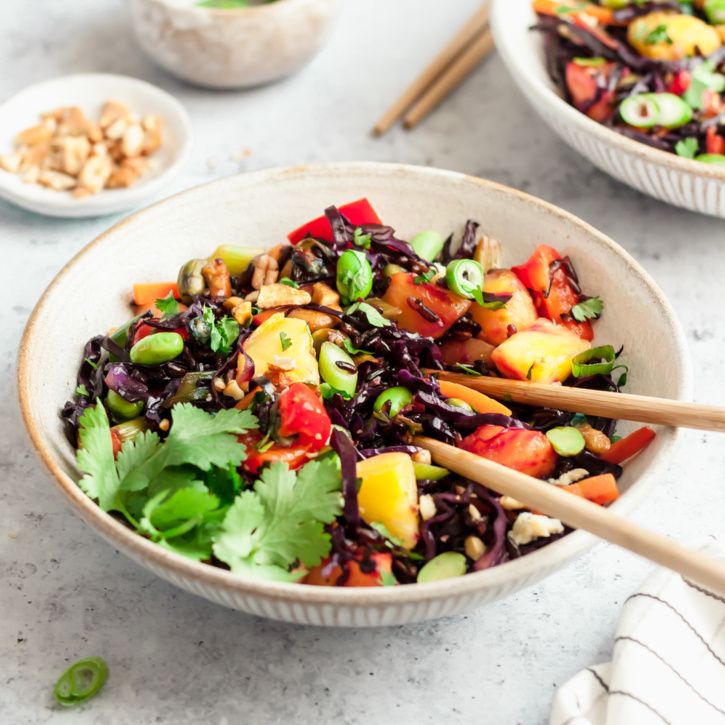 Healthy vegetarian fried rice made with forbidden rice, red bell pepper, carrots, red cabbage and a hint of sweetness from pineapple. This fried rice recipe packs plenty of protein from eggs and edamame for a delicious, healthy plant based dinner recipe. Gorgeous paleo lemon poppyseed cookies made with a mix of nutritious coconut flour and almond flour then topped with an easy, sweet & zesty lemon glaze. The perfect healthy spring treat that’s gluten, grain, dairy free and easily vegan! The best healthy Easter recipes that your whole family will love! 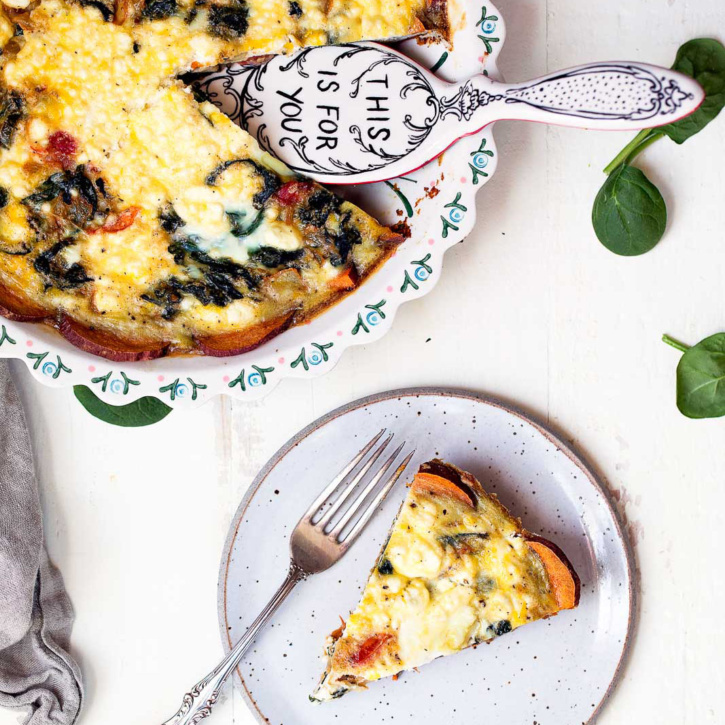 From delicious brunch recipes and sweet treats to incredible, savory sides, these recipes are perfect for making all spring and summer long. 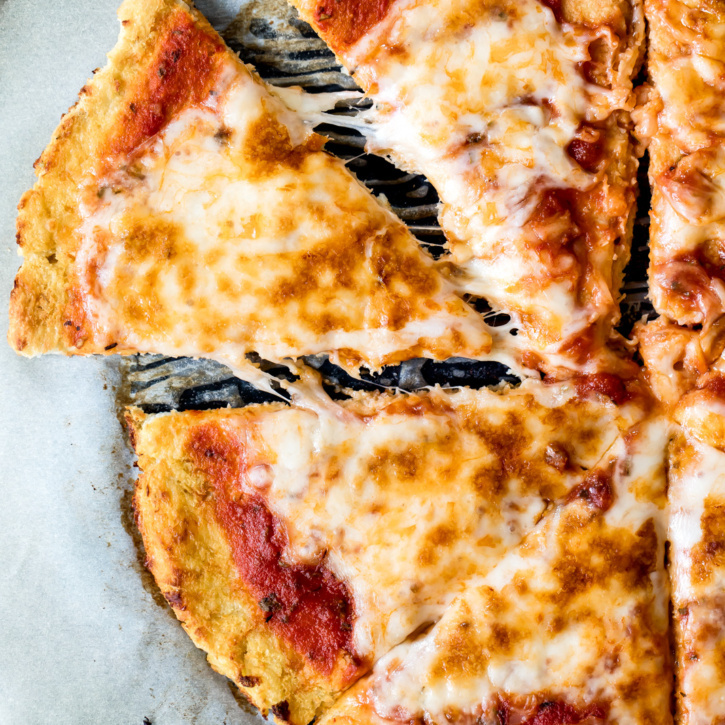 Homemade healthy dinner recipes that are seriously better than takeout! 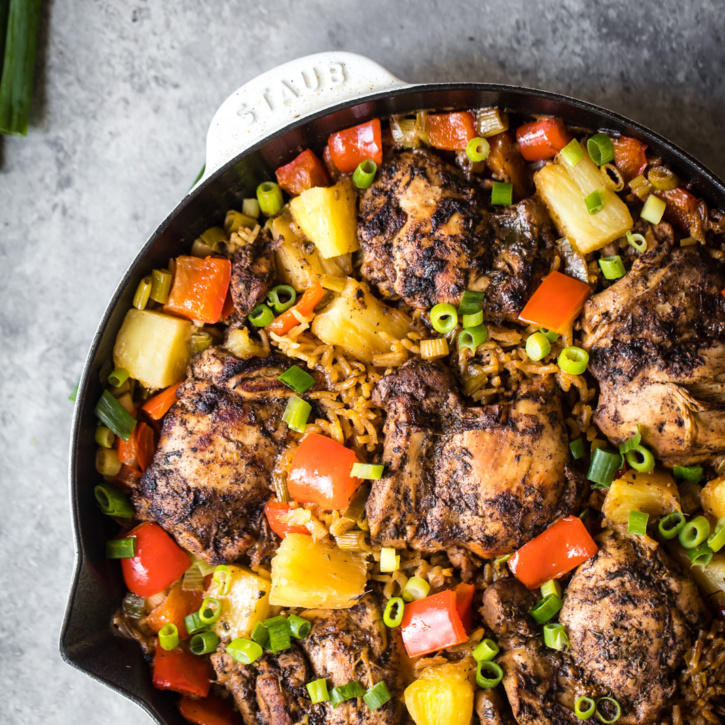 These healthy twists on your favorite takeout dinners are easy to make, packed with flavor, and perfect for sharing or meal prepping for your week. Beautiful & healthy spring green salad with fresh seasonal produce, seeds, avocado & the BEST basil lemon vinaigrette. Enjoy as a main meal, spring side salad, or bring it to a party!